Intellectual property (IP) can be vital to a business’s success. However, despite the best efforts of many, the law is not always easily accessible to those who need to know how to use it. Patents are one kind of IP which can be difficult to understand, but they can often contribute greatly to a business. This guide explains what a patent is, how it works and what someone can do if they want to protect their patent in the UK. What are the features of a patent? What cannot be protected by a patent? Why should I apply for a patent? What does the IPO do with the application? What happens in complex situations of ownership? A patent, like other forms of IP, is a legal right in or to something. A patent owner is the only person able to supply the invention that is subject to the patent, within the country that the patent was granted. It is easier to think of patents not as things, but as a system. Most governments have some kind of patenting framework. The aim of these frameworks, at least in the UK, is to encourage creative thinkers, for example, scientists and innovators, to make the plans of their inventions public (in other words, publish them). In exchange for making public the secret of how they created something, the UK Government allows an inventor or scientist a period of time during which they are the only ones who can provide such inventions. Patent law – the rights and obligations of those seeking and holding patents – is set down in the Patents Act 1977. A patent is a type of legal right to sole or monopoly control over something (normally an invention of some kind). Before anyone can receive patent protection – that is, to have something patented – they have to satisfy certain criteria set out under the Patent Act 1977. For an invention to be new, it cannot already be available to the public before an application to patent an invention is filed – this, in law, is called ‘the priority date’. There is an exception to this: something may be ‘public’ (that is, someone else knows about an invention), but only if it remains confidential between two parties. This criterion is the hardest to meet when trying to patent something. If any details of an invention which are not subject to patent protection are given out before filing a patent application (for example, they are published in an academic journal or given to sample buyers before something is mass produced), the invention will not be deemed new, and therefore cannot be patented. The law requires that the invention brings something new and fresh that has not been done before. To be specific, an invention will only be sufficiently inventive if it does something that is not obvious to someone already familiar with this kind of invention. This means that a variation of an existing product will not be capable of patent protection. This refers to usability and whether a particular invention, if patented, is capable of making a useful and substantial contribution to the industrial world. Governments will only grant patent protection to something that will be of use to an economy – this is part of the reason why the requirements for patent protection are so stringent. This stipulation is generally quite easy to meet, provided an inventor is able to identify what their invention can be used for (for example, invention of a new chemical or substance which is capable of treating a disease would meet this criterion). Discoveries, scientific theories and mathematical models. Schemes, rules and methods for performing mental acts, playing games and doing business. The filing of a patent application is often a question of strategy. The sooner an individual or business files a patent application with the relevant body in their country, such as the Intellectual Property Office (IPO) in the UK, then the less likely that a competitor will file an application to patent a similar invention or creation (if the original patent is granted). Thinking of a patent application as a ‘rush to the finish line’ can be quite helpful – whoever gets their application to the IPO first enjoys monopoly protection for a given period of time (if the patent is approved). Providing an invention meets all of the criteria outlined above, the next step is to compile a patent application. A patent application is composed of all of the details of an invention, and this is then sent to the patent office of the relevant country (for the UK this is IPO). The submission of a patent application does not guarantee a patent will be granted for a particular invention. The information provided in the application must detail certain required information, which will then be scrutinised by the IPO to ensure the requirements of the legislation are met (more details below). A request that a patent is granted for the invention that is the subject of the application. Contact details for the individual or business applying for the patent. A description, known in law as ‘the specification’, of the invention. A fee – this currently stands at £30. The IPO is very strict with its requirement that applications provide all of the above information. Any application found to be lacking cannot be given a ‘filing’ date, which can be a fatal blow when trying to ensure an invention is considered new enough to warrant patent protection. For example, an incomplete application by Party A may result in their competitor, Party B, having their application submitted first and, consequently, having their invention protected by a patent. As a result, Party A’s invention will be not be deemed sufficiently new enough to warrant protection. Another important aspect of the application is the description or ‘specification’ of the invention. This is important because it determines the scope of the patent and the protection it affords to an invention. Detail precisely, in a step-by-step manner, how a particular invention was created. This must be clear enough that a person competent in inventing in a particular field would be able to follow the description and make the invention themselves. Relate to a single invention or to a group of things that make up a single invention. Explain clearly and concisely in the ‘claims’ section what the invention is capable of doing. These claims are very important as they highlight the distinguishing features of the invention from all other products currently available in a given market. When the terms of the application have been met, the application can be filed with the IPO. This is the ‘primary application’ (there are other applications to the IPO which are important and will be discussed below). Technically, anyone can file the application. However, shortly after making an application, the inventor will need to provide evidence that they are the inventor of the thing that is the subject of the patent application. After the application is made to the IPO, and the required fee is paid, the IPO then follows a set procedure to decide whether to award patent protection. It is only after the IPO is satisfied that an application has met the required criteria that it will begin to scrutinise the substance of the application. The IPO will conduct an examination or ‘search’ of all of the applications it has received in a given area (the area relevant to the invention contained in the application). This is to determine whether the invention falls within knowledge that is already present in a given field. This, in law, is called ‘the state of the art’. When the IPO has conducted its search, it needs the applicant to submit what is called a ‘fuller application’ within one year of the initial application. This fuller application should include details of the invention along with the claims that were mentioned above and any relevant drawings. It is important that anything contained in the fuller application is made public before it is filed, as it is the date on which the fuller application is made that patent protection (if granted) will run from. After 18 months have passed since the primary application, the fuller application will be published, along with anything that the IPO found in its search of the current body of knowledge in the area that the patent application falls within. The applicant will need to ask the IPO for ‘substantive examination’ of their application. This involves the IPO looking into the claims that a patent application makes, and assessing their validity. It is not unusual at this stage for the applicant and the IPO to enter into negotiations as to how wide or narrow a patent would be, if it is to be granted. This is why it is wise to have a patent agent assist in these negotiations (see below). If the IPO is satisfied after these negotiations, the patent will be granted and published. A fee must be paid to the IPO for the substantive examination of an application and publication of a patent. After a patent is published, third parties are entitled to write to the IPO and present knowledge (which may already have been available before the patent was granted) and should have been considered by the IPO in its examinations. However, the IPO is not obliged to consider this information. Making the application for patent protection requires both technical knowledge of the invention in question and an understanding of the legal framework. In the UK, it is advisable that inventors discuss the substance of an application, particularly the claims that are made, with a patent agent. A patent agent is a specialised individual who has the necessary skills to draft the application so that it meets the necessary criteria (see above), and will be able to follow the application through until it is granted by the IPO. The owner of an invention is the only person who will be able to make or ‘prosecute’ the patent application. Generally, it is the inventor who owns an application, and will prosecute a patent application. However, there are instances where this will not always be the case (see below). A number of working arrangements can have implications on who owns a patent application granted by the IPO. Where an individual is an employee of an organisation and the purpose of that employment is to invent things, it is likely that they will not own any patent. Although their details may be listed in the patent application as the inventor, it is generally their employers who will hold ownership of the patents. It was made during normal duties of the employee or during specifically assigned duties falling outside the employee’s normal duties. It was made during the duties of the employee and, because of the nature of the employee’s duties and the particular responsibilities arising from them, the employee had a special obligation to further the interests of the employer’s business. The courts have had a lot of experience dealing with disputes over patent ownership. They have made it clear that, when determining ownership, they will not limit their attention to the terms of a job description as they appreciate that a job can evolve over time, and this can have implications on what are considered the ‘normal duties’ of an individual. Generally speaking, where an invention is the result of work carried out in academic institutions, but is funded by external bodies, it is the funding body that will own any patents arising from it. If a patent is granted, it will last for twenty years. The protection of a patent will run from the date that the fuller application is made. Unfortunately, the granting of a patent by the IPO does not prevent others from infringing it. Individuals or businesses that are successful in their patent applications are encouraged to guard their patents themselves. However, businesses and individuals are advised to be careful of threatening parties they believe are infringing their patents, as they may need to pay damages if they are mistaken. 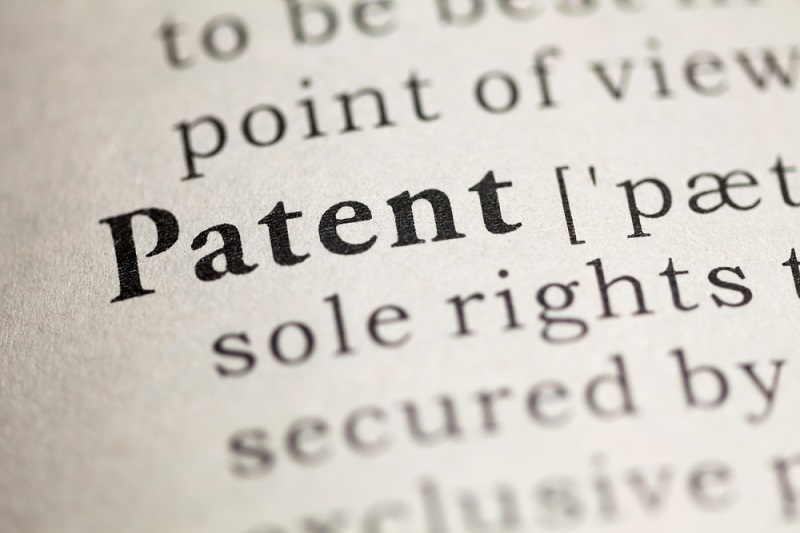 Credible concerns of patent infringement can be pursued through litigation in court. If this situation occurs, it is advisable to seek the advice of a solicitor who has expertise in dealing with patent infringement. Patent rights are usually enforced by bringing infringement proceedings.